Best/Worst Nintendo Switch 3rd party partners as of late 2018? 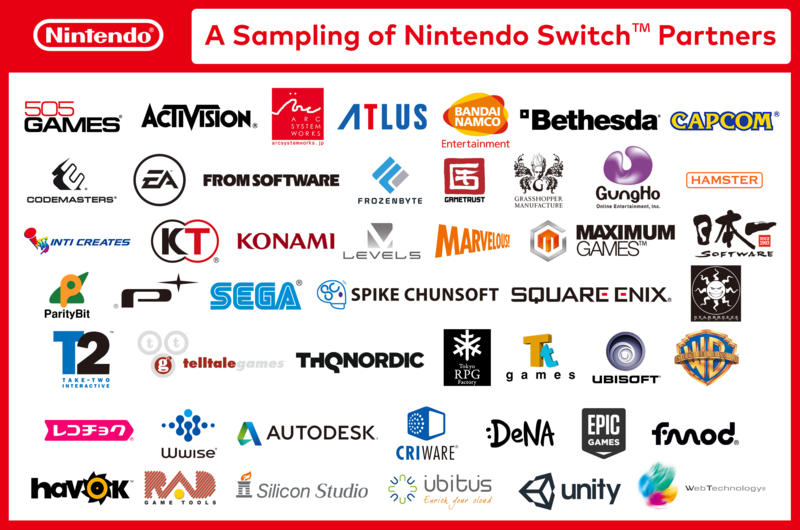 Who do you think is the best/worst Nintendo Switch 3rd party partners as of late 2018. Things to keep in note about this. Almost all of the ones that do publishing/developing have released or announced games for it as of the time of writing outside of Codemasters which is understandable as they are a smaller/lesser known company on the list and Silicon Studio which does both game development (Bravely series) and Middleware and Engine providing. Some of them such as Activision, Bandai Namco, Marvelous! Nippon Ichi Software, Take-Two Interactive, THQ Nordic all have subsidiary companies that can be counted as they are part of the same family such as Blizzard Entertainment for Diablo III Eternal Collection for Activision, D3 Publisher for Bandai Namco, Xseed Games and G-Mode for Marvelous!, NIS America for Nippon Ichi Software, Rockstar Games and 2K Sports/Games for Take-Two Interactive, Koch Media along with Deep Silver and Ravenscourt Games for THQ Nordic. It worth pointing out that some of them like Bandai Namco do publishing in the PAL Region for companies like Outright Games among others. Some of them are owned by parents like Atlus for Sega, TTGames for WB Games, etc. If you follow these rules post your favorites/less favorite and why?